Don't be afraid to make it, there is nothing to it, but it tastes like you spent all day preparing it. 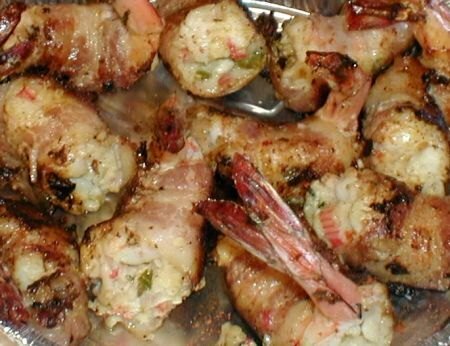 I have not tried grilling shrimp that is stuffed, but I don't know why it wouldn't work. Speaking of grilled shrimp, isn't that a delicious way to cook them. I love to drizzle the shrimp with lemon and butter and a sprinkle of lemon pepper. Delicious. This rich and savory dish can be served anytime, it's easy to make and they will think you spent hours on it. Great meal ideas below.